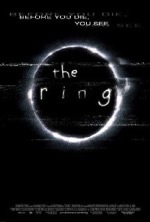 The Ring was a disturbing film that began with a far-fetched scenario and ended with a resounding, “Huh?” Riddled with horror gimmicks and gaping plot holes, the most frightening aspect of The Ring was that it made it to the big screen. David Dunn (Bruce Willis) has never been sick, never broken a bone and has walked away from a train wreck where he was the sole survivor. Elijah Price (Samuel L. Jackson) is the fragile art collector who tests Dunn’s special abilities and, in the process, discovers his own true nature. Despite an intriguing premise, forensic-level direction by M. Night Shyamalan and a wonderfully nuanced performance by Willis, the movie topples like a stack of comic books near the climax, when the auteur unleashes his unconventional, twist ending. There’s no doubting the movie’s status as a fine film, but it doesn’t take a sixth sense to divine that this second Shyamalan thrill-fest isn’t as good as the first. Just this side of a horror film, What Lies Beneath is a thriller wrapped in a mystery. 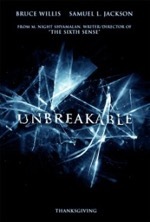 The movie is brimming with spine-tingling scenes that make you want to jump out of your skin. Though a radical departure from the director’s staple, Robert Zemeckis does a fine job of building suspense and waiting until the perfect moment to have a door slam, a picture frame fall or a corpse appear in the bath tub (easily the freakiest transformation I’ve witnessed in a very long time). Michelle Pfeiffer delivers the most convincing performance I’ve seen this year and Harrison Ford keeps you guessing which side he’s on until the bitter, fateful end. What Lies Beneath is a finely crafted tale of dark secrets and hidden transgressions, presented with harrowing intensity.